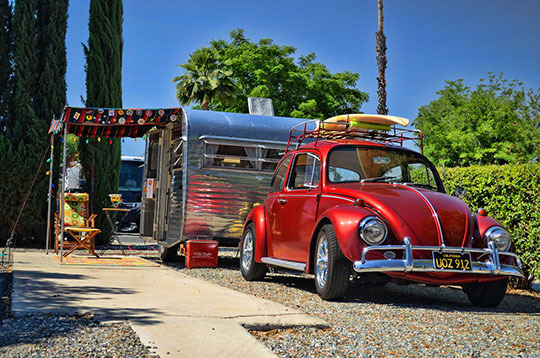 Celebrating the growing appeal of vintage trailer restoration, Golden Village Palms RV Resort in Hemet, California, hosted the First Annual Vintage Trailers and Camper’s Classic Show, April 29–May 3. More than 100 vintage trailers and 90 classic cars were on display at the resort, according to Michael Carle, general manager of Golden Village Palms. The Good Sam Park allowed the general public to attend during the weekend and look inside the vintage campers, many of which dated back to the 1930s. “The vintage-themed excitement was ever lasting, with everyone’s vintage trailer being their ‘little projects’ and unique in their own different ways,” noted one collector. 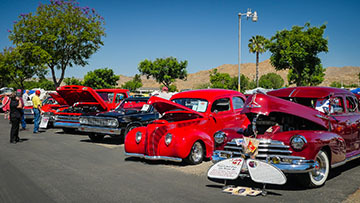 Golden Village Palms offers its thanks to all vintage trailer and classic car participants, the City of Hemet and Hemet Chamber of Commerce for participating in the event. The Second Annual Vintage Trailers and Campers’ Classic Show will be showcased April 28–30 2016 and themed “country western” to complement the 2016 Ramona Pageant held at the Ramona Bowl. 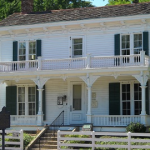 Reservations have opened for next year and preferred sites are filling quickly.